Milwaukee, WI – Students gathered over the weekend of Nov. 12 for the Students for a Democratic Society (SDS) 6th annual National Convention at the University of Wisconsin at Milwaukee. Over 150 students from across the country gathered to participate in workshops, share organizing skills, and exchange experiences about campaigns and strategies practiced on their respective campuses. For over half the students in attendance, this was their first SDS convention. “All of the students who attended the conference are now deputized fighters in the struggle for higher education. The politicians and administrators who tell us to cut back are already organized. This weekend, students organized themselves to fight back together,” said Dave Schneider of University of Florida – Gainesville’s SDS. 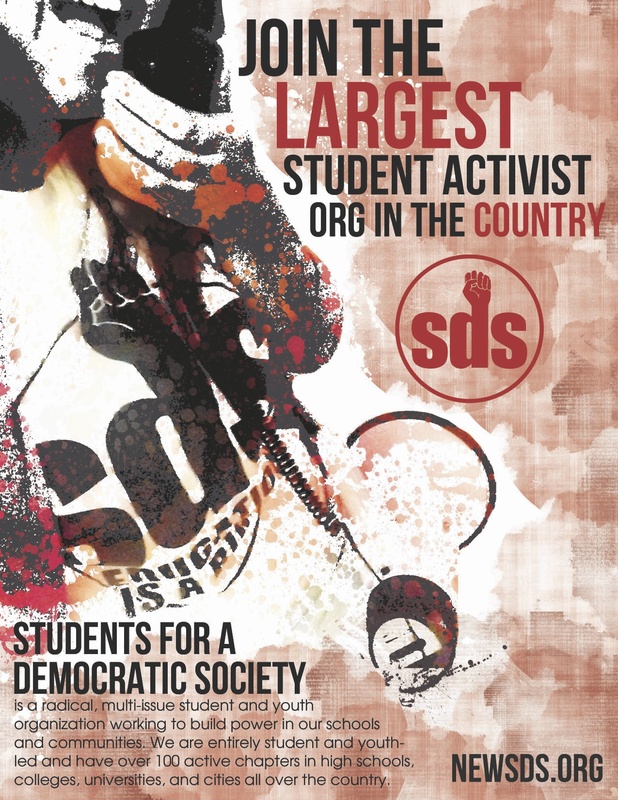 SDS is a multi-issue national student organization with chapters around the United States and can be found at http://www.newSDS.org or contacted at students4democraticsociety@gmail.com.